This makes it official. Let the world know what our community is all about! Join the movement and become a member of the Cloud Kicker Society: Drip Club Chapter. This is one of the softest, smoothest, and best looking cotton t-shirts you'll find anywhere, and we guarantee it will last. 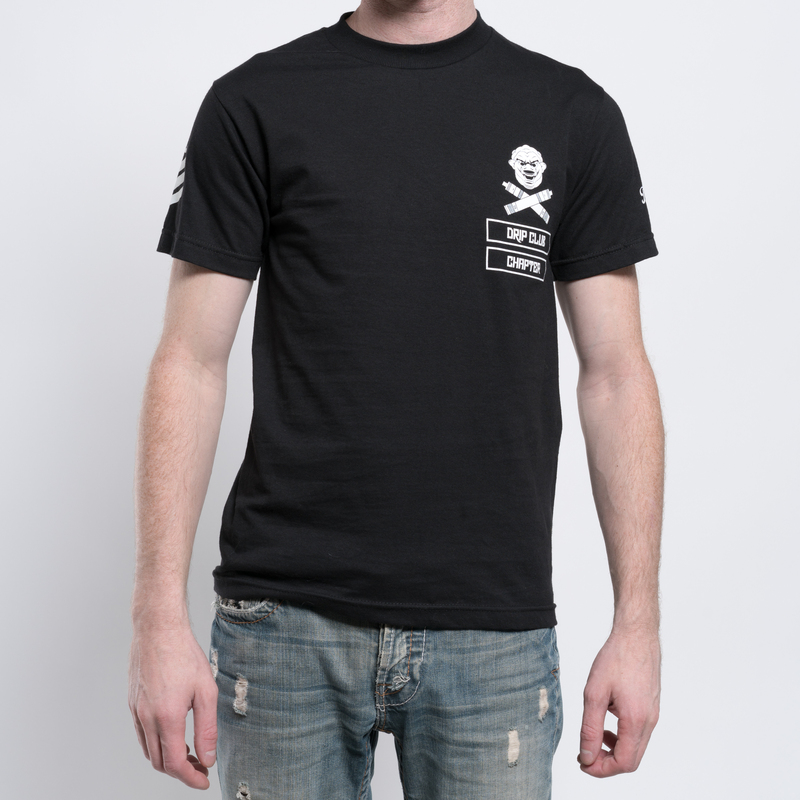 This black, 100% cotton t-shirt has the crossed mods Drip Club Chapter logo in front, CK|S Original Social Club logo on the back, and Omega Lighting Bolt symbol on the sleeve. This makes it official. Let the world know what our community is all about! Join the movement and become a member of the Cloud Kicker Society: Drip Club Chapter. This is one of the softest, smoothest, and best looking cotton hoodies you'll find anywhere, and we guarantee it will last. 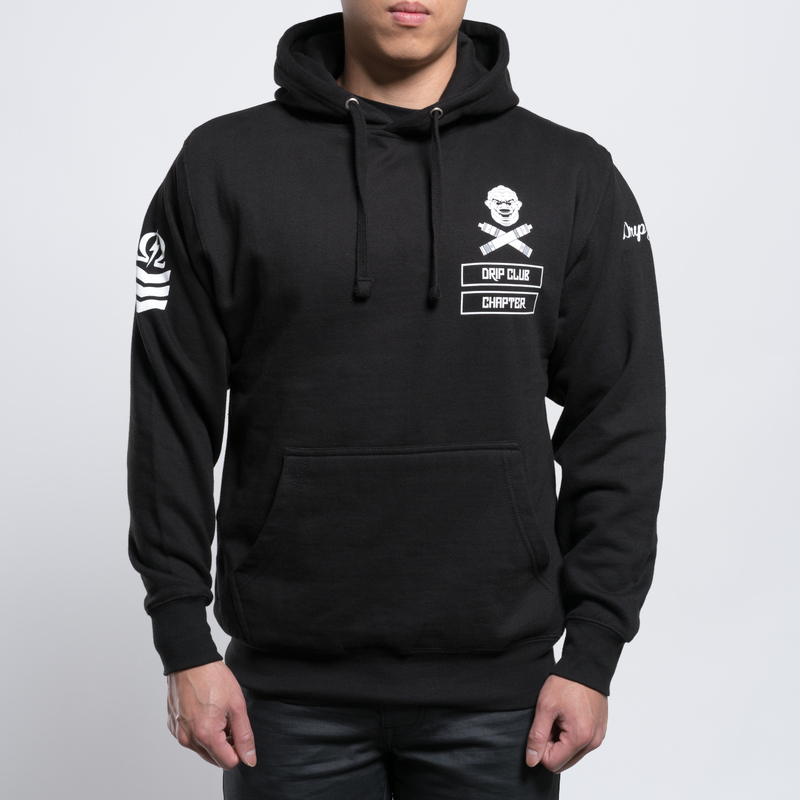 This black, 100% cotton hoody has the crossed mods Drip Club Chapter logo in front, CK|S Original Social Club logo on the back, and Omega Lighting Bolt symbol on the sleeve.